Your privacy is important to us and we do not sell or rent names. We will only send you e-mail messages if you opt in to receiving them during registration. Our privacy officer is responsible for making sure that our privacy policies and procedures are up to date and that your personal information is protected and used in a way that you have consented to. The first is very general and not related to personal information. Through cookies and tracking, we can tell how many users visit each part of our site and what features are used. In the future, we will also collect information on how many of our users are using a certain screen resolution or what kind of browser they are using. Using that information, we can change and modify our site to better meet your needs. The second way we might gather information is through the registration process. This is information you provide to us by filling out the registration form. If you register on our Web site, you provide us with personal information. 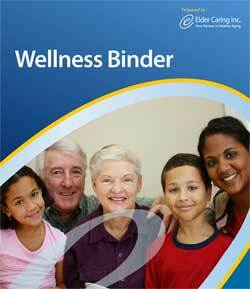 Only you and qualified Elder Caring Inc. employees may view that personal information. There is an exception to that rule. While we will make every effort to make sure your personal information remains private, we may be compelled by law to reveal your personal information if we are required to by a subpoena, court order, or legal process. If, at any time, you wish to remove your information from our database, you may do so by contacting our privacy officer. A ‘cookie’ is a small piece of information that a Web site can store on your computer through your browser (such as Internet Explorer or Netscape Navigator). What this means in plain English is that if you have used a part of our Web site or a function of our Web site, we can keep track of that and help to change the content or certain aspects of the Web site to fit your needs more accurately. We can also use it to help, in a more general way, to see what requirements our users have in using our Web sites.